Although the terms Mediclaim and Health Insurance are used interchangeably, these two types of insurance covers have certain key differences that distinguish them. A Mediclaim policy provides a cover for treatment/hospitalisation due to an accident or certain pre-specified illnesses up to your sum insured amount. Anything over this amount will have to be borne by the policyholder. A health insurance policy, on the other hand, provides a more comprehensive coverage to the policyholder and are also more flexible in nature. Most health insurance policies, for example, offer policy buyers several advantages including a cover against critical illnesses, discounts on premium if the policy buyer opts for a high sum insured, the option to reduce the sum insured amount, etc. While Mediclaim might be useful in certain cases and can provide you coverage against emergency hospitalisations, investing in the right health insurance policy will help you meet any unplanned medical expense with ease. In order to better illustrate the differences between the two, we have listed the key features and benefits of both types of policies in the table below. Mediclaim policies are based on the indemnity principle. Thus, with a Mediclaim policy, any hospitalisation expenses that one has incurred will be reimbursed back to the person. A health insurance policy, on the other hand, works on the benefit principle. Thus, if you meet with a certain eventuality a certain lump sum benefit is paid to you. Certain examples of policies/riders that work on the benefit principle are critical illness riders, personal accident policies, etc. In most cases, Mediclaim policies only cover one’s hospitalisation expenses. Thus, in order to be able to claim a refund, one must be hospitalised. Health insurance policies provide a more extensive coverage. In addition to covering the policyholder’s hospitalisation expenses, they also cover ambulance charges, loss of income due to an illness, provide a daily cash allowance, etc. The insured person is also liable to receive several other benefits by opting for riders offered by health insurance providers. Under a Mediclaim policy, one can make any number of claims during the given policy tenure until the complete sum insured is exhausted. In case of health insurance, if one is diagnosed with a critical illness or meets with an accident that causes death or disability, a lump sum amount is paid and the cover ceases to exist. The premiums that you pay towards your Mediclaim policy are eligible for tax rebates under Section 80D of the Income Tax Act, 1961. Like Mediclaim policies, health insurance policies also come with tax benefits. You can claim a tax rebate for premiums paid, under Section 80D of the Income Tax Act, up to the specified limits. In most cases, the sum insured that is offered under a Mediclaim policy is relatively lesser than what is offered under a health insurance policy. Health insurance policies offer a large sum insured to individuals. There are health insurance plans that offer up to Rs.1 crore as the sum insured. Which should you purchase – Mediclaim or Health Insurance? Several policy buyers usually opt for a Mediclaim policy because the premium rates are lower than that of a comprehensive health insurance plan. However, purchasing insurance solely because it offers a low premium defeats its very purpose. Thus, if you are looking for a higher amount of coverage, it is best to opt for a health insurance policy. Having said that, having some form of health cover is better than having no health insurance policy at all. Thus, if you are a young and relatively young individual who is looking to save on premium payments, it is advisable to at least purchase a Mediclaim policy. On the other hand, if you purchased a Mediclaim policy thinking that it would give you the benefits of a health insurance policy, it is recommended that you immediately purchase a separate health insurance policy, which will provide you a more exhaustive coverage.  What are the types of health insurance and mediclaim policies available in India? The Indian insurance market offers a whole range of health insurance plans such as individual plan, family floater, critical illness plan, senior citizen plan, certain disease-specific plans, top-up plans, and so on. In terms of mediclaim policies, however, only individual and family floaters are offered in most cases. Is the cashless hospitalisation benefit available under mediclaim policies too? Yes, mediclaim policies also offer the cashless hospitalisation benefit wherein the insurance company will pay the hospital bill directly. The insured person will only have to pay the additional charges that are not covered under the policy. Do mediclaim policies offer add-on covers? No, mediclaim policies generally do not offer add-on covers. Which is the more flexible type of policy – mediclaim or health insurance? A health insurance policy is more flexible as it allows insured individuals to choose the sum insured option, coverage option, add-ons, duration, etc. Is a mediclaim policy cheaper or a health insurance policy? The premium payable toward a mediclaim policy or a health insurance policy depends on a range of factors such as the sum insured amount chosen, age of the insured, gender of the insured, geographical location of the person, and so on.